This year I was honored at the National Conference of the National Association of Professional Organizers with the Service to NAPO Award. This special award is presented to an individual who has made an outstanding contribution to NAPO or the organizing industry not described under other award categories. 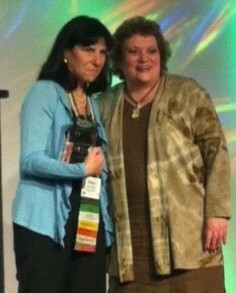 My service to NAPO began as soon as I joined our organization. I have been privileged to serve on the Education, Leadership Task Force, Social Media, Marketing and Conference Committees, in addition to being the Conference Committee Chair in 2008. Locally, I have been the Vice President and President of NAPO Houston. Being on these committees has given me the opportunity to collaborate with colleagues and promote our industry. I always choose to serve in a way that uses my strengths and in a way that builds a team. After 12 years of service, I have more to give too! I am grateful to have the opportunity to work with my colleagues and make a difference in our industry. It is an honor to be recognized with this award. Getting your crafts back into order in the spring makes crafting more fun! We are busy with our kids and jobs, and then our crafts get all wonky! Having a great station for crafts is the first step, but re-organizing them each spring to be sure they are easy to access and categorized by how we use them makes this hobby so much more fun. The craft station is located in the kitchen, where mess is not a problem. It is set up in a large open cabinet that is an open without shelves. 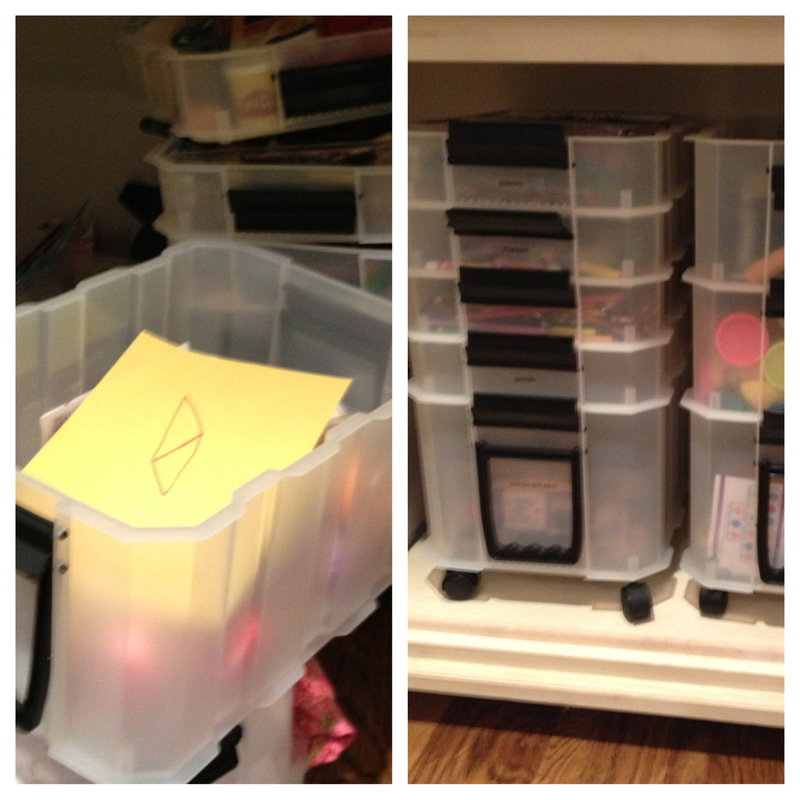 My client and I used the Container Store Busy Boxes(C) for grouping crafts. The Busy Boxes have wheels and becomes carts, which makes them easy to move next to the table. Each section of the Busy Box is different heights so we can take advantage of the vertical space. They are easily attached or separated from each other to be a tray for the craft too. Within about 30 minutes, we were able to transform the space back to its original organized look and function. What about the crafts in your home? How are you getting back your organization in your hobby space? Images courtesy of The Container Store, www.containerstore.com. Spring organizing is all about the little things. Organizing your purse can be the biggest little organizing you can do. Click on this video to see how I organize my purse. 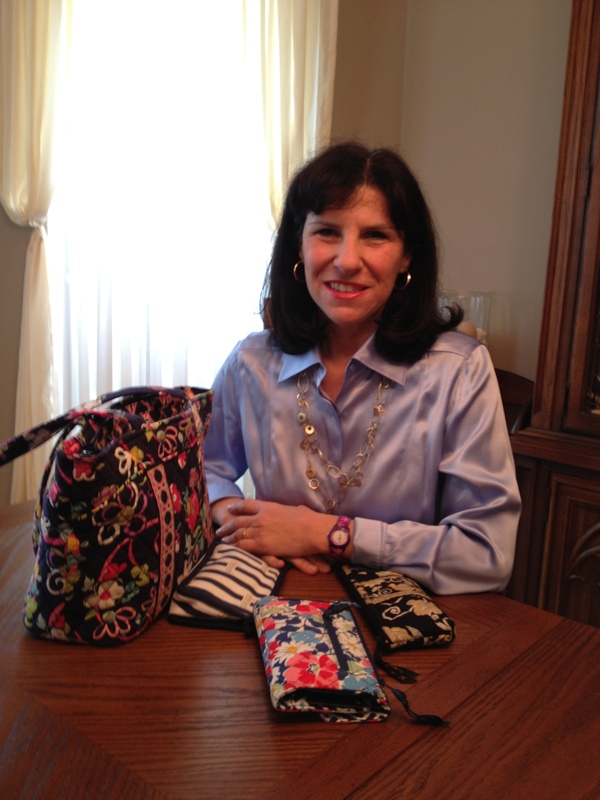 Click and Ellen shares how she organized her purse. 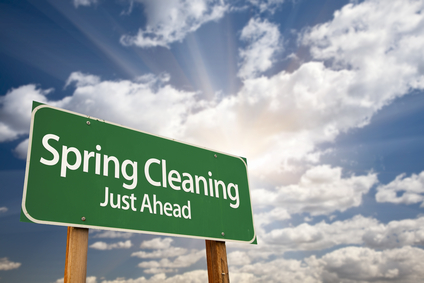 Ready to start your spring organizing? I love learning other’s perspectives on organizing. Enjoy this guest post by ABC13 Weekend Anchor Katie McCall and her “take” on organizing. I came up with this blog while jogging at Memorial Park. I love the fact that the park belongs to everyone. You don’t need a membership. Organizing is the same in that regard. It is also a great “equalizer.” Anyone can organize. It doesn’t matter if you have 2 pairs of shoes or 20. You can organize anything you have. It costs you nothing, and, if you do purchase organizing items, there are very affordable ones, at places like Target, T.J. Maxx, and Marshalls Home Goods. Organizing is universal. At the start of each season, I like to shift my clothing and shoes around, placing my most-worn items in one closet, and organizing the winter items for storage in a less-accessible place. I ask myself helpful questions that Ellen Delap has taught to so many people: Do I have a place for this? How is that space working for these items? If you can give everything a place, you are giving yourself a wonderful gift. You won’t have to worry about “where to stick” your sweaters, for example, because you’ve identified a place where they will live, so you can always find them there. I also love Ellen’s concept of honoring your things by giving them a place. When you complete your organizing, you receive a no-cost gift to you, from you: the serenity of having a place for everything, and everything in its place. Tools that I enjoy are cheap, for the most part. I like to use clear shoe boxes, or the box in which my shoes came, to get the most use of my vertical space. I recommend stacking your shoes along one wall, or placing shelves from the floor to the ceiling in any area that works for you, and making that your shoes’ home. Sweaters are a challenge, so I keep all of them, regardless of the season, in one chest of drawers. All of my blazers go together, they are neighbors with my skirts. I put pants and dresses together, one on either side of a closet. You can improvise with portable racks, if your closets are small. The Container Store and Target sell accessories that can give you more space, but are attractive. The bathroom closet and the cabinets under the sink can be a challenge. So is the linen closet. Here’s my simple solution for both areas. Group things by category. Grab some plastic bins or baskets that fit in that space (it helps to measure before you shop), and put everything that “goes together,” in a bin. Example: pillow cases are in one bin, sheets are in another. Sunscreen is in one bin, soaps and scrubs are in another. Razors, replacement blades, pedicure and manicure tools all “live” together. This can be done in 20 minutes per area. You’ll never dig around in the darkness. You just pull out a bin. Finally, a word about “white space.” Ellen uses this word, and I love it. By organizing your papers, filing them in filing cabinets by category, and by giving things like magazines an attractive basket or bin that you can also display on your shelves, you can significantly increase your “white space.” It’s the space where there is nothing. I find that it brings serenity and order to any area. What a great gift! You might be surprised to see how organizing, which many people think of as “work,” can actually be fun, if you think of it as a time when you’re creating a space that you will enjoy for years to come. Spring Organizing: Garage Sale Savvy! 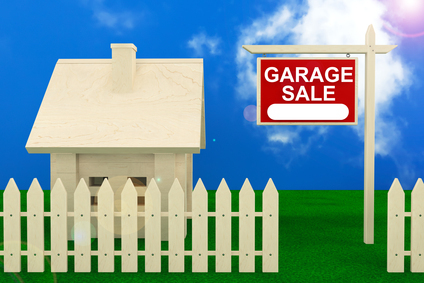 Thinking of a garage sale this month? Check out my blog post on Organize to Revitalize! https://professional-organizer.com/WordPress/wp-content/uploads/2016/07/logo.png 0 0 Ellen https://professional-organizer.com/WordPress/wp-content/uploads/2016/07/logo.png Ellen2013-04-01 09:11:022013-04-01 09:11:02Spring Organizing: Garage Sale Savvy!